The Ojibway people of Rainy River First Nations welcome you to one of the most significant centres of early habitation and ceremonial burial in Canada. Kay-Nah-Chi-Wah-Nung, the Place of the Long Rapids, is a place of outstanding beauty and spirituality. The Centre is owned and operated by Rainy River First Nations and offers interpretive tours and galleries, a collections space with over 16,000 artifacts, a gift shop that showcases artwork by local Indigenous artists, and a restaurant that serves traditional Ojibway cuisine. 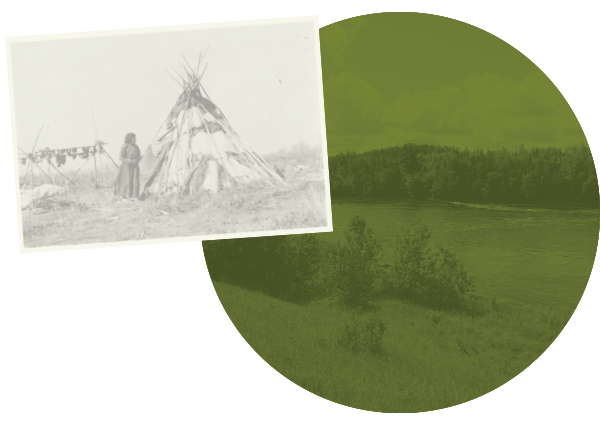 The Centre is an educational resource for the community, and allows Rainy River First Nations to educate visitors about Ojibway history, language, geography, culture, and traditions. Through these activities, the site continues to serve as a gathering place, a role it has played for thousands of years. The history and culture of Rainy River First Nations are integral to the decisions and overall approach at Kay-Nah-Chi-Wah-Nung. Designated a National Historic Site of Canada in 1970, its importance has been acknowledged for generations by all cultures and peoples who have lived, travelled, and admired the majestic Manidoo Ziibi or Spirit River (Rainy River). The Place of the Long Rapids has deep cultural and spiritual meaning to Indigenous peoples throughout North America. The Ojibway people of the Rainy River First Nations are the guardians of this rich heritage, a legacy that has been passed on through the generations and will continue through our grandchildren. Located only 65km from the headwaters of the Mississippi River, this was the centre of a vibrant continent-wide trading network. Here, people gathered to trade, share, celebrate, and mourn. The history that remains through recovered artifacts and oral history reflects a diverse trading network that brought copper from Lake Superior, marine shells from the far south, and exotic stone for tool making from the west and north. You are about to explore over 8,000 years of history through our eyes.